Drift away to an amazing magical island all to ourselves in the heart of the Mentawai chain of islands, the infamous mecca for surfers. The beautiful Togat Nusa Retreat is a private island close to many perfect waves. We will have our own boat and local surf guide to take us to the local reef spots just a short boat ride away. little taste of paradise. Living simply. Ainsley and JohnE Ocean are our awesome hosts who have lived here for many years with a wonderful local crew and a monkey. The food is especially delicious, fresh and wholesome with all the fresh fruit, smoothies and coconuts you can manage. Stay in a private handmade villa on the island. 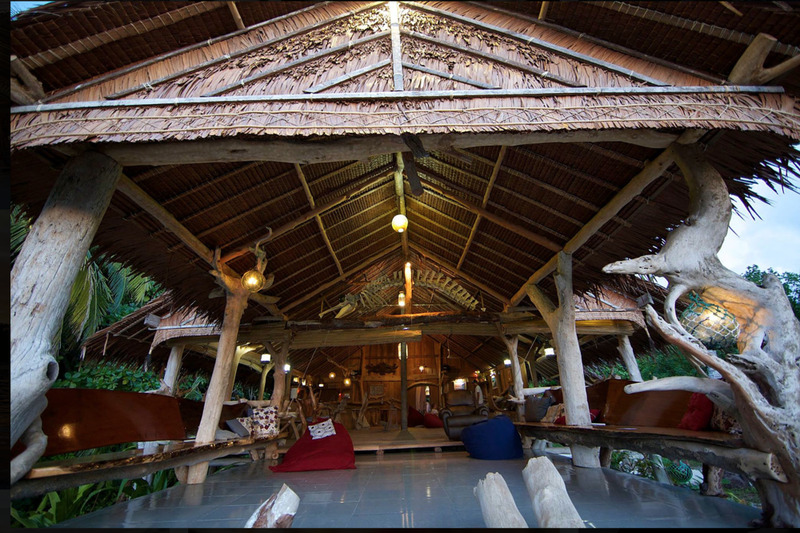 The resort is made from driftwood and you can walk around the entire island in twenty minutes. It is a spectacular part of the world and an epic surf spot with a unique opportunity to improve your surfing in a short space of time. Recommended for more intermediate surfers as we will mainly be surfing reef breaks, although it is shoulder season so the waves and crowds are not as big. Recommended for intermediate surfers who will be comfortable to paddle out from a boat. or contact me to register your interest.